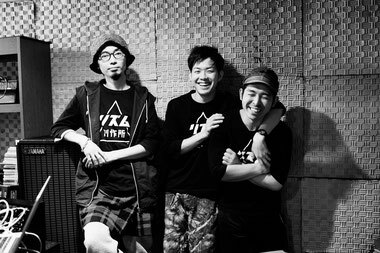 The beginning of winter in 2005, Mizukami(Pleasant Sound), Hiroki Onodera(Sound Processor), and Ooike(Drumsports) formed a 3-piece band “Olololop” in the north city. Olololop has a mission that leads us to the peak where the souls are expanded and contracted. Olololop’s performances show the glimpses between the rhythms of roars and silences, between connected bodies that throb full of life. They evoke the sounds of interwined souls and scattered energies, strange sounds and spontaneous, serious voices. They play sampled, processed sounds through damaged keyboards and countless instruments. All of these make a triangular amplifier built upon the miraculous power of language and elements of existing music. Olololop creates unprecedented trance music with uplifting psychological effects. This is why they are often thought of as a contemporary active band.